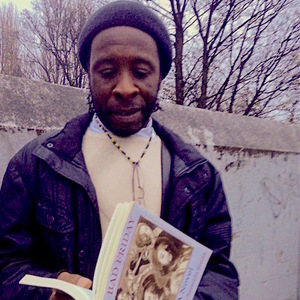 Norman Samuda Smith is a talented Author and former playwright. He is the first black British born novelist to be published in the UK, what an accolade to have under your belt. He has achieved so much and is so understated, but has done a plethora of work in which opened the doors through his writing of what it was like growing up as a black person in the UK. 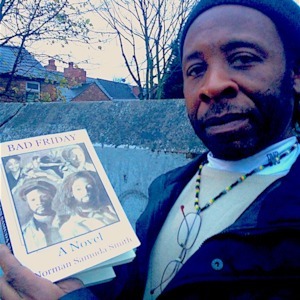 In 2013, Norman self-published three of his books, Britannia’s Children, Freedom Street, and in celebration of its 30th Anniversary, his ground-breaking novel Bad Friday; which was first published in 1982 and republished in 1985. In a rare appearance, we at Sounds Beautiful Radio hosted a two part thoughtful and personal interview with him by our very own presenter ‘Westfield John’. It was a pleasure having Norman come into the studio for this interview. So sit back and listen to the full account of his surprising stories. This entry was posted on February 22, 2016 at 12:47 pm and is filed under Articles, Arts, Black British Literature, Black History, Books, Community, Culture, Current Affairs, Education, Fiction, History, Literature, Music, News, Newsletter, Poem, Poems, Publications, Reggae, Short Story, Writing with tags Articles, Arts, Black British Literature, Black History, Books, Community, Culture, Current Affairs, Education, Fiction, History, Literature, Music, News, Newsletter, Poem, Poems, Publications, Reggae, Short Story, Writing. You can follow any responses to this entry through the RSS 2.0 feed. You can leave a response, or trackback from your own site.